Note: Oil pan will not fit trucks, 1966-67 Chevy II, 302 high performance engines, or Corvettes. Does not Fit Stroker Engines. Requires use of early 1955-'74 thin front seal to properly seal oil pan to Timing Cover. 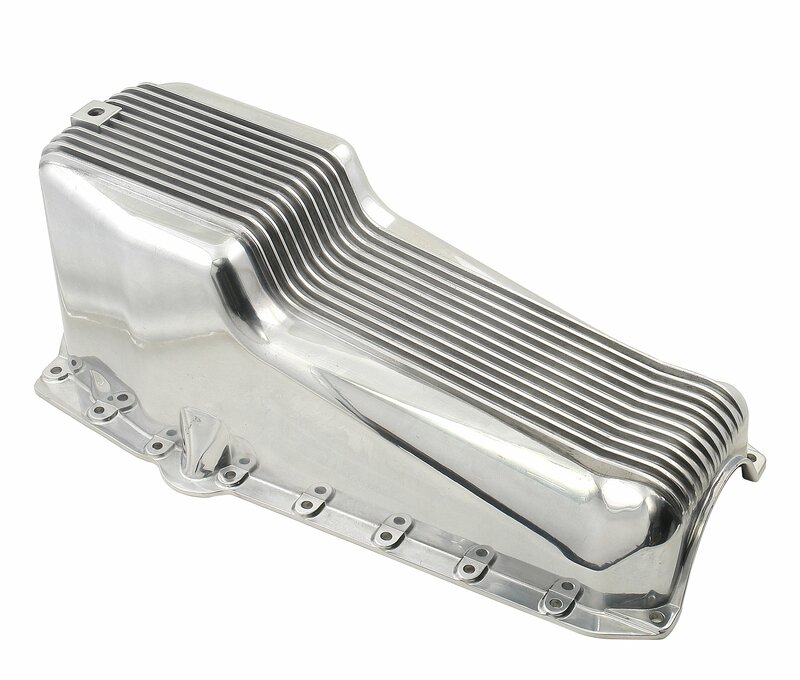 The fully polished, finned aluminum oil pan is die cast for a perfect fit. 5 qt. Drain plug & bolts incl.